Good morning polished world! How are you all doing today? I apologize for the later post today, but posting totally skipped my mind. It was a crazy week at work which exhausted me. I honestly could say that about any and all weeks. Who knows, maybe one day being an adult won't be so tiring. As promised I'm going to start my St. Patrick's Day manicures. I wasn't 100% ready to go all out with the shamrocks quite yet, so I went for a simple plaid design. I always tend to forget about my green polishes unless it's March or December, and I hate that I do that because I always come across such beauties that I need to use more. Ahhhh Zoya Rikki, what a LOVELY polish! Two coats and you have a beautiful green shimmer with gold flecks throughout. This polish I believe is from the Irresistable Collection which came out yeaaaarss ago. 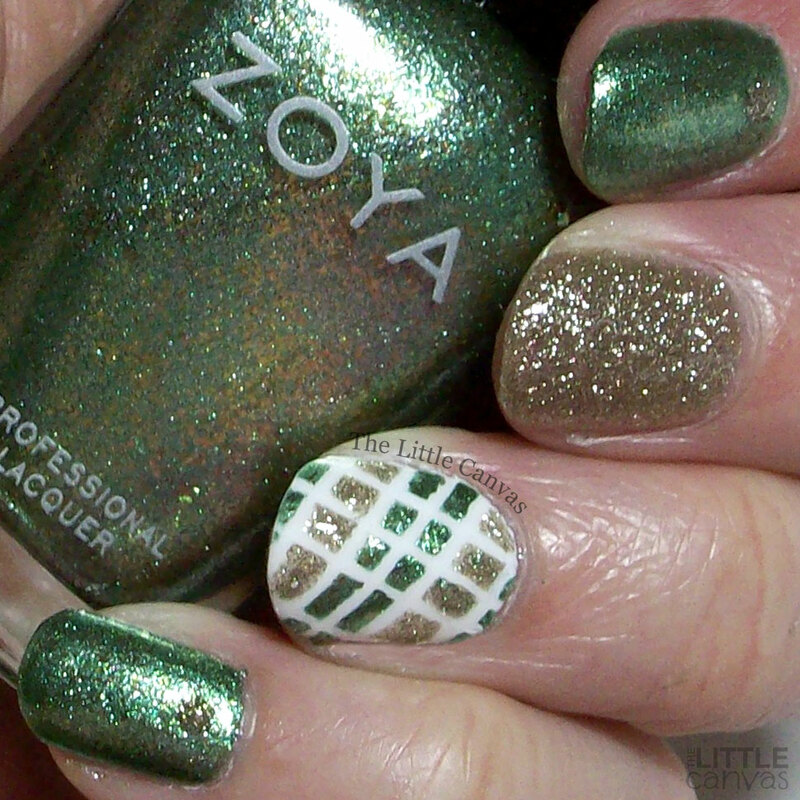 That tells you that Zoya's polishes hold up, because I really think this one is about four years old, if not five. Really loving it paired with Tomoko. The plaid design was super easy once I got the tape placed on my nail just how I wanted it. That's always the hardest part. What do you think? Like this design?? Ready for St. Patrick's Day? ?